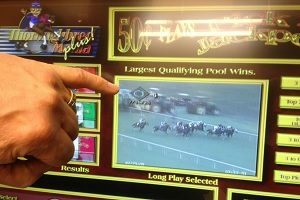 Idaho has been debating for months about whether or not to allow historical horse racing machines. The measure to allow historical horse racing to become legal was voted down by citizens of the state. However, the fight might not be over. First, a determination needs to be made, are instant racing video games illegal—or not? The attorney general has weighed in, but he is facing opposition on whether or not the machines are indeed illegal. Idaho is one of the most restrictive anti-gambling states in the country. Nearly all forms of gambling are illegal. The state does not allow any games of chance, and like other states, they differentiate between games of chance, and games of skill. Games of chance, according to the state of Idaho are games such as roulette and craps. There has been some debate about what constitutes games of skill in the state. 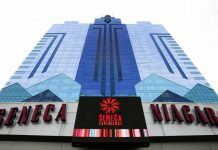 There is currently a lawsuit brought against the state of Idaho by two poker players that argue the game is a game of skill, rather than a game of chance. If the men win, poker and other games of skill such as blackjack could be considered legal. Idaho does have Indian casinos, which are legal in all the states under US law. The state currently has seven Indian casinos located on reservations throughout the state. Idaho also has horseracing. There are three race tracks in the state, and horse racing is conducted at several fairgrounds in Idaho. However, as opposed to the number of race days in places like Santa Anita and Louisiana Downs, the number of racing days in Idaho is very short. In general, many of the race tracks are only available for a handful of days every year. Pari-mutuel betting is allowed at Idaho tracks. What is Historical Horse Racing? Historical horse racing machines look very much like slot machines. Gamblers look at races that have already occurred and place bets on which horse will win the race. Just like an actual horserace, the wagerer can decide which horse will win, or he can vote for horses to place and show as well. The player has no idea where or when the race took place, because all distinguishing characteristics of the race have been removed. Players are able to see a skill chart on horses before they bet. Currently historical (or instant) horse racing has been deemed legal in several states. Arkansas, Oregon, Wyoming, Kentucky, Virginia, and Nebraska have legalized historical horse racing. The idea of historical horse racing was defeated in Texas. While enough citizens in the state of Idaho signed petitions to get historical horse racing on the ballot, the measure was defeated in the November 2018 election. However, many fans of historical horse racing have argued that the machines should be allowed to resume operations. The reason given is that all forms of betting on horse racing should be considered pari-mutuel betting, which is legal in the state. 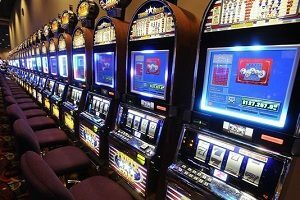 However, the attorney general has issued an opinion that if the historical horse racing machines are allowed to operate, the state will face legal challenges, because it is his opinion that the machines operate more like slot machines rather than pari-mutuel betting machines. Bar owners, who would like to have the machines in their establishments, have said they are willing to challenge the attorney general’s notion that the machines are illegal in court. 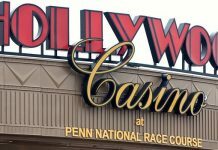 They point out that several states have agreed that historical horse racing machines are a form of pari-mutuel betting and allowed them to operate. It appears that no matter which side the public in Idaho Falls on, the measure is headed to court. Disclaimer: All images are copyright to their respective owners and are used by USA Online Casino for informational purposes only. Jean Carter is from Oakland, California and studied jewelry design at the Fashion Institute of Design and Merchandising in San Francisco, California. After graduation, and pining for a warmer climate, Jean relocated to the Tule Springs suburb of Las Vegas, where she owns and operates her own online jewelry boutique incorporating traditional native American styles with her own unique designs. A true fan of the sophistication and glamor of Las Vegas casino life, Jean is also a freelance blogger specializing in all things suave and fashionable surrounding the casino lifestyle. Gambling in Alaska – Can you? Looking for exclusive bonuses and industry news? Join our mailing list and WIN BIG! Almost there! Firstly, check your inbox to confirm your subscription.